Jenny Armstrong is the newest team member at Armstrong Dental Practice; and Alan and I are delighted to welcome her to the family practice. Jenny qualified in 2014 from Dundee University and after completing her Vocational Training in Edinburgh she moved back to the School of Dentistry Belfast and completed her MFDS. 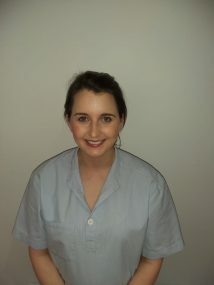 Jenny enjoys minimally invasive dentistry and focuses on preventative dentistry where possible. In her spare time Jenny enjoys spending time with family, travelling and cooking.